Debra's passion is teaching people to break out of their white-knuckled fear and paralysis about their finances. Her rich financial wisdom, magnetic personality, and use of humor make her an exceptional communicator. "Debra is an articulate, funny, and empathetic speaker, rich with knowledge! I recommend her without reservation." Your audiences will be instantly engaged by Debra’s wit and wisdom. Her obvious professionalism and expertise is apparent from the start, and listeners will be motivated to take her message to heart and empower themselves, step by step, to be liberated from fear and gain financial security. I’m Debra Morrison, here to tell you that We Can Do It, Women! Whether busting women’s fears they’ll end up as bag ladies, or sharing the 5 biggest retirement dangers, I will empathize with and help my listeners see the big picture through a presentation packed with relevant information and practical solutions, delivered in my unique, highly entertaining manner. I love to entertain as well as inform! By the time I am done, they will understand exactly what they are facing, know what issues to take seriously and how to successfully cope with them. But moreover, I will give them the knowledge they need to be secure in making their own, healthy financial decisions. Of course, they’ll get a ton of laughs on the way as well, so they will know they no longer need fear financial independence! "Debra's ability to captivate an audience and motivate them to action is outstanding. We engage her year after year to pitch our message to large audiences. She is one of a kind." 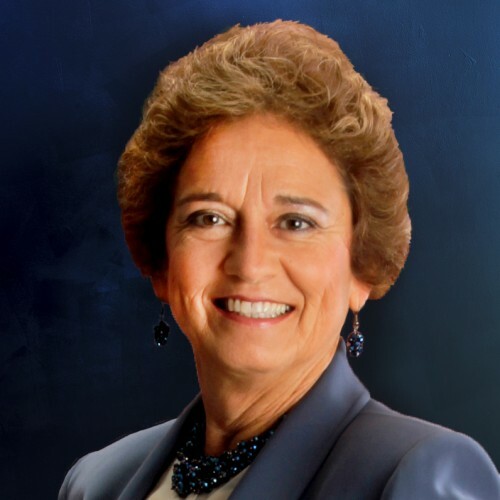 A Certified Financial PlannerTM with her Masters Degree in Retirement Planning and a Accredited Estate Planner, Debra consistently logs more than 3 times her required annual Continuing Education Credits, constantly seeking effective investment and planning strategies that enhance her client's net worth while helping to mitigate that four-letter word, risk. Her attention to detail and ability to translate complex financial arrangements into understandable terms is unparalleled. "I found myself on my own financially for the first time in my life at age 44. Debra not only knows about investing, she takes the time to teach me her strategies in language that makes perfect sense. I have been able to retire without sacrificing anything of importance. I would never have reached this financial goal without Debra's wise counsel and guidance. And, she is fun to be with!" When You Need the Facts, Go To The Source! Debra’s special personal attributes, coupled with her wealth of experience gained from heading her own firm for 14 years, has given her such credibility that she has been featured on CNN, ABC, MSG’s MetroMoney and CNNfn. She has been quoted in The Wall Street Journal, USA Today, Nation’s Business, Ladies Home Journal, Business Week, Family Money, MORE Magazine, Garden State Woman, Investment News, Dermatology Business Management, Journal of Financial Planning, Money, CNN Money, Financial Advisor, America Online's Moneywise, The Star Ledger and Reader’s Digest. She is listed in Marquis' Who's Who in Finance & Industry & Who's Who of American Women as well as Nationwide Register's Who's Who in Executives and Business. Debra is a sought after international motivational speaker. All those sources can’t be wrong -- and you won't be either when you contact Debra for your speaking engagement! Ms.Morrison can be reached at 973.709.2244 or via email at info@DebraLMorrison.com. You can also visit her website, http://www.debralmorrison.com/ for more information! Find out more about Debra L. Morrison at http://www.debralmorrison.com/.